Imagine the smells that must have filled the air back in the 1800's when this was the French Menier chocolate factory. Following years of being a derelict building it began its new life in 2004 as a theatre and art gallery. Nice looking old building. It must of been interesting to work there back in the day. 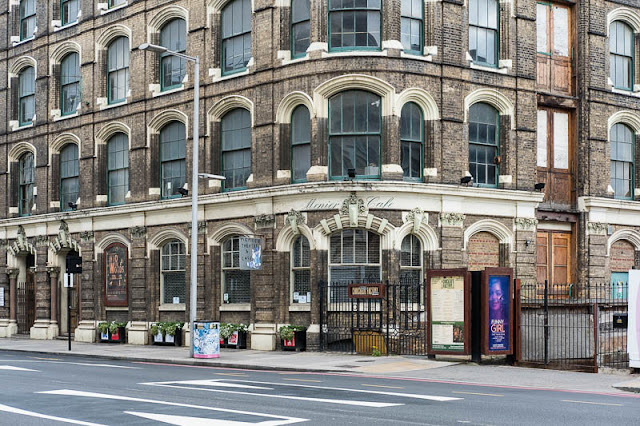 Looks to be on a big site so I wish the new development well "Flat Iron square, it promises restaurants, music and entertainment venues"
Glad to hear that such a fine building is still being used. A good new use of the building. It's quite distinctive. I used to work so close to that building but have never been. I must wonder by one day. London is always evolving - so interesting.